One of the recurring themes in many Dostie Homes is the prominent addition of a grand tower to the facade. These tower homes offer a unique yet somehow traditional look, reminiscent of the the Victorian-era summer homes I would pass in my youth, lining the rocky coast of New Hampshire. 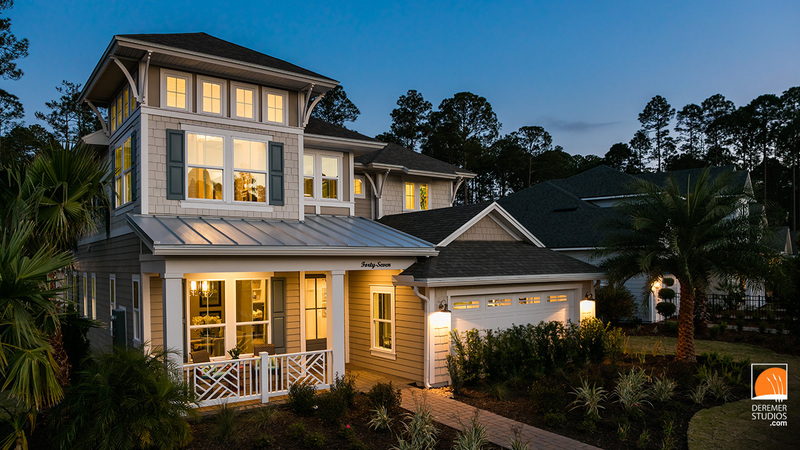 This particular tower home, located in Nocatee, offers all the charm of a traditional facade, while offering a modern, open floor plan, lots of storage, and even a stunning, raised-ceiling tower lounge (below). 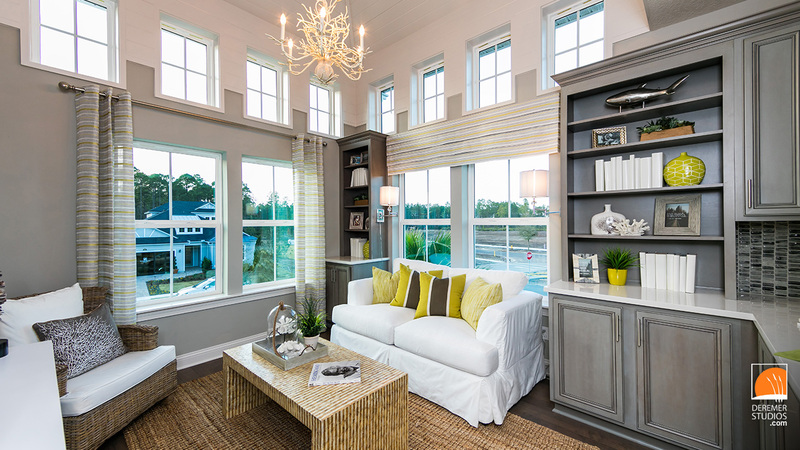 The model home is open most days, and offers some great design concepts that you can take with you into your own home. Be sure to check out our gallery for some great ideas for kids bedrooms that this wonderful tower home has to offer. Interested in our architectural photography services? Visit our architectural page for details on commissioning Deremer Studios to photograph your property: http://pro.deremerstudios.com/architecture.html. Deremer Studios has a long history of providing our architectural clients with premium photography services, specialized equipment, and friendly, responsive service, all at an affordable price. The luxury of a Dostie tower home. This entry was posted in Architectural Photography and tagged Architecture, Deremer Studios, dostie, home, Jacksonville, kitchen, open floorplan, Photography, spacious, Tower, traditional.